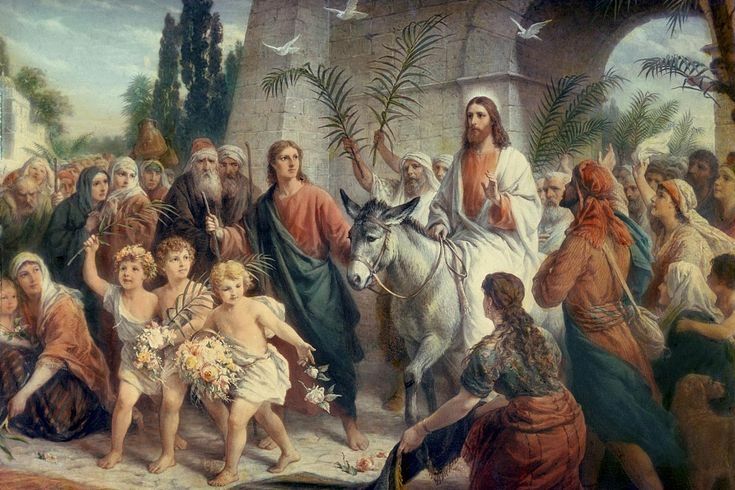 Today, Palm Sunday, we remember Jesus’ triumphant entry – the fulfillment of prophecy – into the city of Jerusalem. Thursday is called Maundy Thursday, and on this day, we remember the Last Supper of Jesus and His Disciples in the Upper Room before His arrest in the Garden of Gethsemane. Friday is Good Friday, the day when Jesus is Crucified and dies on the Cross. Next Sunday is Easter, the day when Jesus is resurrected from the dead, proving that He is the Son of God. Today we celebrate. Thursday we watch and scatter as Jesus is betrayed. Friday we are the mob shouting for His Crucifixion. Sunday we celebrate because despite our sins, Jesus died for us to pay the penalty so we don’t have to, and we learn that Jesus really is our Savior if we just Believe in Him and put our faith in Him. Welcome to Holy Week, everyone, the week when the roller coaster of our emotion is in full display. Now, please continue reading and pray with us our prayer requests and praises. Kelly has a prayer request: Please pray for my GodFather – Uncle Alan. Went to the doctor about a week ago and he will be having a quadruple bypass next Wednesday. Thank you. Continued prayers for Stephanie: Thanks for the prayers guys. I seem to still be battling it to an extent. I feel like I can’t get rid of the fluid in my ear and it’s effecting my hearing so another call is in order for the doc! Continued prayers for Barb’s husband, who is getting better: His DVT is feeling better, still there, but the Lovenox seems to be helping. Thanks for asking, and for your prayers! Continued prayers for Jodi’s brother Ken, who is also getting better: Ken was finally moved out of ICU today!!!! Talking about moving him to a recovery/therapy center for about a month. Meanwhile, his spirits are down, because he is confined and bored and is stressing himself out about everything from hospital bills to taxes to missing Sue (his late wife who passed away in Sep.)…Please continue prayers!!! Praises for Ivon’s prayer request: Update… Grandma had her surgery yesterday and it was a success. Her new pacemaker is in and she’s doing great! Thank you so much everyone for all your wonderful, answered prayers. Lastly, continued prayers for my brother-in-law Jerry, who had his knee surgeries. He was in a lot of pain but he is doing much better now, so prayers and praises are the rule of the day today!